Combine spooky game play and swashbuckling adventure in this Halloween season "treasure." 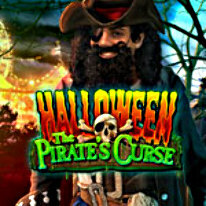 Halloween: The Pirate’s Curse is a highly original hidden object game with lots of puzzles and mini-games to enjoy. With a Shopping Mall, Witch’s house, Halloween Fairground, Pirate ship among others, you'll have a lot of terrain to cover on this Trick or Treating path. See pumpkins, skeletons, witches, bats and ghosts at every turn! At the Halloween Fair you'll ride Bumper Cars, the Ghost Train and visit Dracula’s amazing Castle among other spellbinding locales. The fun times are jeopardized as the Pirate casts his spell over the Fair, transforming it into a spooky and ghostly place as you make your way to the pirate ship to release the curse.